Dr. Ileana Popescu received the Diploma in Telecommunications Systems from “Politehnica” University of Timisoara, Romania, in 1993, and the PhD degree in 2003 from the same University. 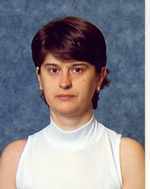 From 1993 to1999 she was teaching assistant with University of Oradea, Romania and since 1999 she is associate researcher with the Mobile Radiocommunication Laboratory at National Technical University of Athens, Greece. Area of expertise includes: non-ionizing radiation hazard measurements, modelling and EMC compatibility, neural networks applications for communication systems, as well as mobile channel characterization studies. Athanasios Marousis received the Dipl.-Ing. Degree in Electrical and Computer Engineering from the Democritus University of Thrace, Greece, the M.Sc. degree in Communication Engineering from the University of Manchester (UMIST), UK, as well as the M.Sc. and the Ph.D. degrees from the National Technical University of Athens (NTUA), Greece. Since 2000 he is member Mobile Radio Communications Laboratory of NTUA with main research focus on dynamic channel estimation, signal identification, blind signal separation and adaptive space-time processing. He has been involved in many research projects and actions in National and European level including wideband MIMO channel measurements and characterization, 3G studies and measurements, automated monitoring systems, advanced wireless transceiver, as well as HMICs design and testing. He has designed and simulated many wireless communication systems/stages on ADS, HFSS and momentum. He is a member of IEEE since 1999 and also a member of the Technical Chamber of Greece since 1997. Georgios T. Pitsiladis received the Diploma degree in electrical and computer engineering from the National Technical University of Athens (NTUA), Athens, Greece, in 2006. He is currently a Ph.D. student at the same institute. 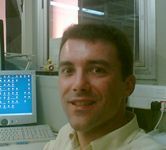 He is member of the development team of “Pedion24”, an electromagnetic radiation monitoring network installed in Greece. Mr. Pitsiladis is a Member of the Greek Technical Chamber (TEE). 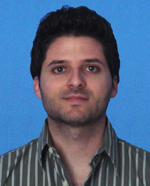 His research interests include connectivity, modeling of wireless broadband multi-hop networks and high frequencies propagation models. Dr. Stavroula Vassaki was born in Athens in 1984. In September 2006, she received the Diploma degree in Electrical and Computer Engineering (ECE) from the National Technical University of Athens (NTUA), Greece, and in December 2008, she received the M.Sc. degree in Economics and Administration of Telecommunication Networks from the National and Kapodistrian University of Athens, Greece. In September 2013, she received the Dr.-Ing. degree from the NTUA. Since 2006, she has been an Associate Researcher / Project Engineer with the Mobile Radio Communications Laboratory, ECE, NTUA, participating in various research-oriented projects. From August 2009 to January 2011, she was an RF Engineer with the Non-Ionizing Radiation Office, Greek Atomic Energy Commission. Her research interests focus on wireless and satellite communications networks and include resource management mechanisms, optimization theory and game theory. She has published more than 20 papers in international journals, conference proceedings and book chapters.